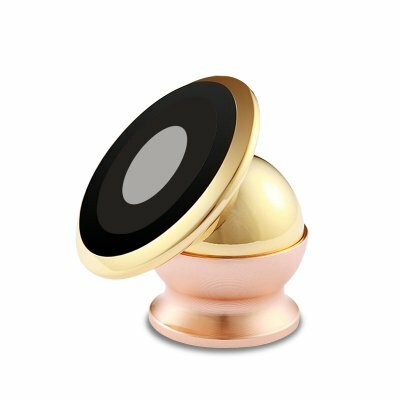 Successfully Added Magnetic Phone Holder - 360 Degree Roatation, 3M Adhesive to your Shopping Cart. This mini magnetic car kit is perfect for holding your electronic gadgets on the dashboard. With 360 degrees of rotation this pocket size magnetic phone holder can be rotated to offer the best angle for your needs. Ideal for mounting on your dashboard the mini gadget holder comes with 3M adhesive pads that are easy to use and wont damage or leave marks behind on your phone or in your car. Suitable for use with tablet PCs, cell phones, GPS units, car DVRs and music players the strong magnetic mount ensures your gadgets are griped firmly in one place keeping them safe from knocks and damage. With two circular the magnetic gadget holder can be set up for use with two products, great for those who share a car or have multiple portable gadgets. This Mini Magnetic gadget holder is brought to you by the leader in electronic devices as well as wholesale gadgets accessories..